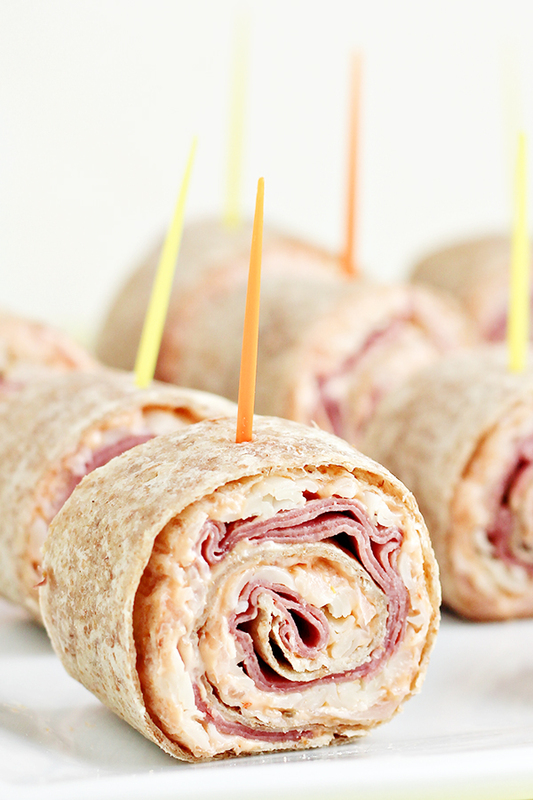 This Reuben Tortilla Pinwheels Recipe is perfect if you are wanting St. Patrick’s Day party food, or if you just love all the flavors in a Reuben sandwich. 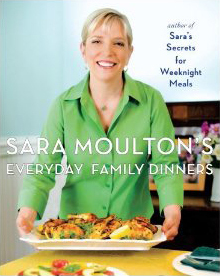 You may be familiar with Sara Moulton from Food Network and other television appearance, as well as her cookbooks. I’ve been watching her for years, so I was quite excited to learn about her newest cookbook, “Everyday Family Dinners“. It’s a cookbook meant for a home cook like me and you — people who want great family-friendly meals. My Reuben Pinwheels recipe inspired by one of Sara Moulton’s recipes. 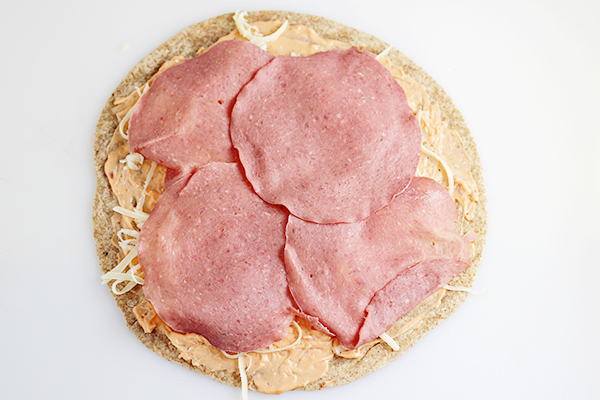 When I was cruising around Sara’s website, I came across her Reuben Pizza. 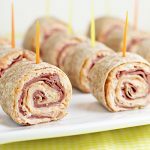 When thinking about how to make this into a party appetizer, I thought how great these Reuben Sandwich flavors would be rolled up into a tortilla pinwheel recipe. While I worked on this recipe, my oldest son came into the kitchen. I’m not really paying attention to what he’s doing, but the next thing I know he’s spitting out whatever was in his mouth into his hand and asking ” WHAT IS THAT????”. See, apparently, my son thought the well-drained sauerkraut was the same as the bowl of shredded Swiss cheese I had on the counter. He grabbed a BIG pinch of sauerkraut and popped it in his mouth expecting cheesy goodness. I laughed so hard. I wonder if that will keep him from grabbing the cheese that I’m grating? Probably not. 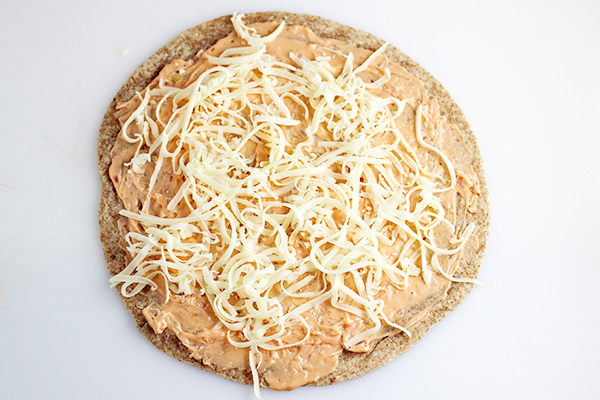 This mixture is spread onto a tortilla, then it’s topped with shredded swiss cheese. If you only have access to sliced swiss cheese, that will work great too. Next, the swiss cheese is topped with thinly sliced corned beef. Starting at one edge of the tortilla, begin rolling up the tortilla as tightly as possible without shifting the toppings. Repeat the process with the remaining ingredients. Place all of your rolled up tortillas in the refrigerator, covered, for at least 1 hour. If you are making these in advance of a party, you can leave them in the refrigerator long — making them the day ahead works out great. After chilling in the refrigerator, remove them and slice into rounds. They can be served laying down on a plate or platter or you can stand them up and insert a toothpick into the tortilla the way we have shown. Here’s the complete recipe, ready for you to print. If you like this recipe, we’d love for you to share with your friends and family on Facebook or for you to pin it to Pinterest. 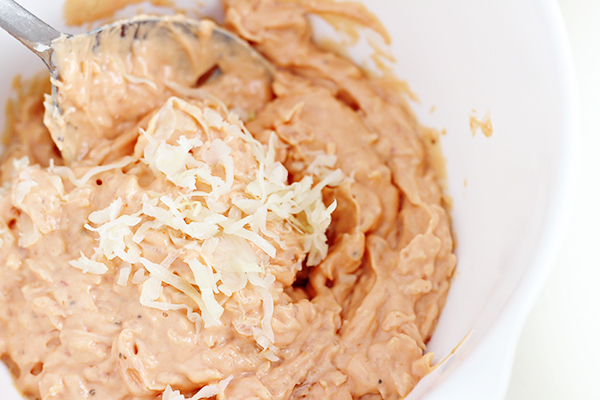 Mix together cream cheese and Russian dressing until smooth and creamy. Mix in sauerkraut. Spread one side of a tortilla with cream cheese mixture, almost all the way to the edges. Sprinkle with about 1 oz of cheese. Lay a few slices of corned beef on top of the cheese. 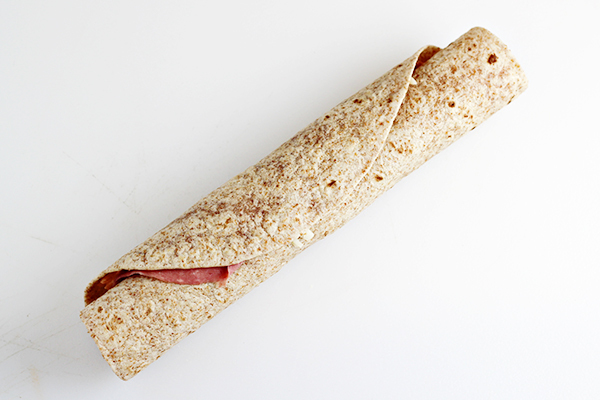 Roll up tortilla tightly. Repeat with remaining ingredients, laying rolled tortillas on a plate. Cover and refrigerate for at least 1 hour. Remove from refrigerator and slice into rounds and serve. 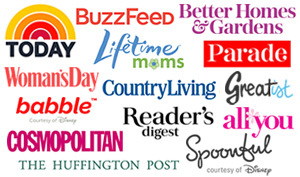 Here are more recipes inspired by Sara Moulton, by all your favorite food bloggers! I love this idea! Reubens are one of my favorite sandwiches!! Thanks for the recipe! These look and sound so tasty and your photo is so enticing! Perfect for leftover corned beef from St. Patricks! Thanks for sharing this with us on Throwback Thursday last week! 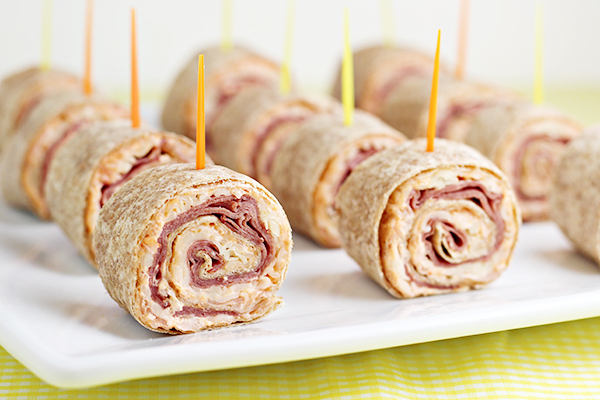 Your Reuben Tortilla Pinwheels look delicious! They remind me of the wonderful tea sandwiches we used to make when I was growing up. Pinwheels were very popular, but I don’t think we ever made a Reuben version – they are perfect as Reubens are one of my favourite sandwiches! I love anything reuben 🙂 This looks awesome!! I’ve never tried a Reuben before. We LOVE reubens…I saw another post for her reuben pizza. Ummm..yes, please! These are such a great appetizer idea. 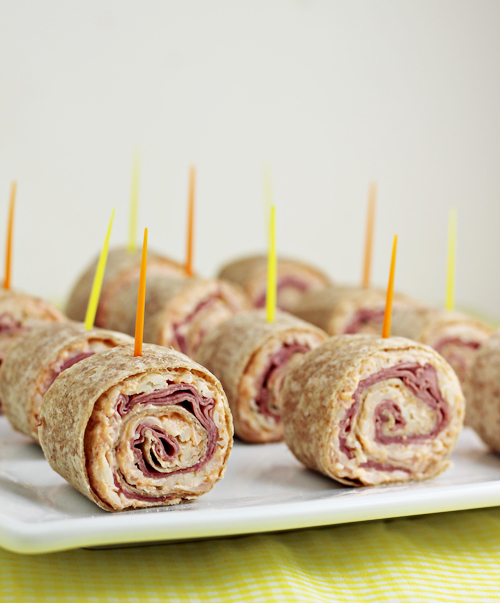 We love reuben sandwiches, and they look so good in a pinwheel! Love these. Who knew the reuben could make such a great appetizer! I have all the ingredients, think I need to try these soon. Reubens are one of my favorite sandwiches! Reubens are one of my favorite sandwiches! I also happen to love appetizers. Perfect! oh yes! love this for a party app idea!! yumm!! Mmmmm…great appetizer! We love reubens in this house and this looks simple and delicious. bwaaa haaa haaaa – I don’t think I’d be able to breathe I’d be laughing so hard! Poor guy ;). 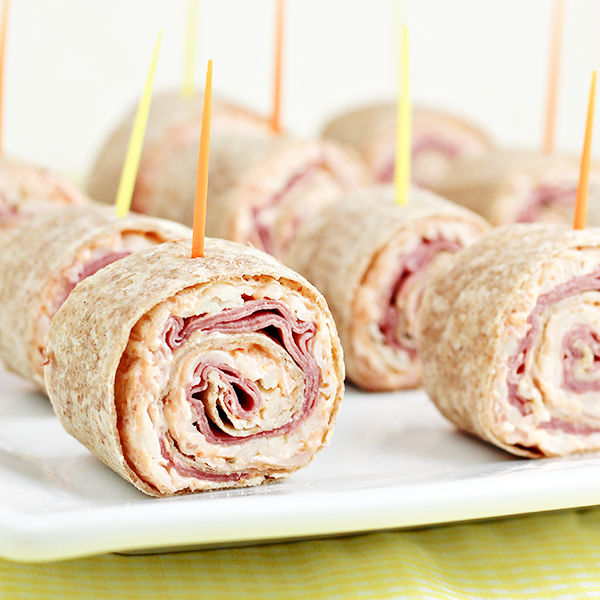 I looooove me a good reuben, so I know these fun pinwheels are in my very near future, Brandie! The whole moment was so hilarious. Thanks for coming by & commenting, Heather! A lot of my friends love Reuben! This would be a great appetizer to serve at my next party. I love making pinwheels especially during the summertime during the heat. So easy and delicious. I love this recipe. All this talk of reubens is making me hungry! I LOVE this riff on the reuben! I love kraut! These would be right up my alley! Next try the pizza! Oh my goodness…you won’t regret it! I was so glad to see that you made it! I thought for a brief moment to make the pizza (we have pizza for dinner every weekend), but decided to stick with my original idea. I bet it’s delicious! I love sauerkraut! 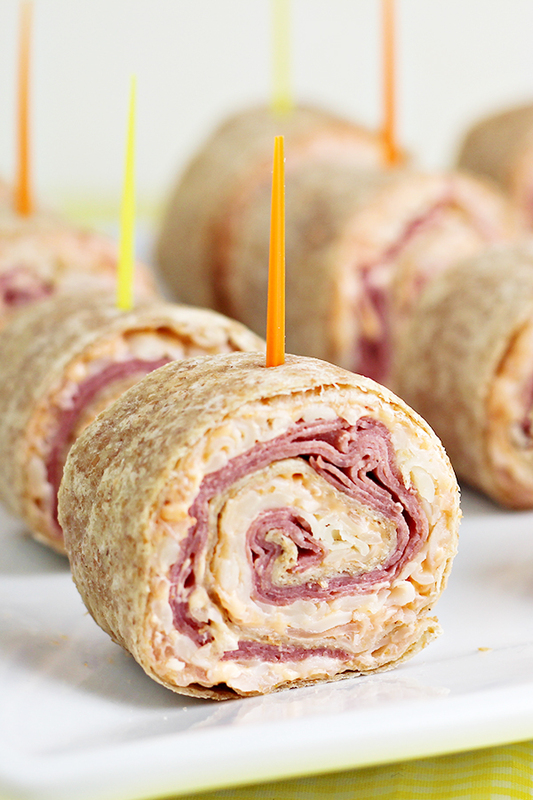 And I love how you got your idea for these reuben pinwheels. My parents will go crazy over them. These sound like a perfect treat to serve up at a party! Count me in for anything reuben. These look scrumptious. So quick and easy, Brandie! Great with a salad! Brilliant! I love a reuben wrap and this takes it to another fun level!! Pinwheels are so much fun, and I love your reuben version. Need to try this one very soon- yum!